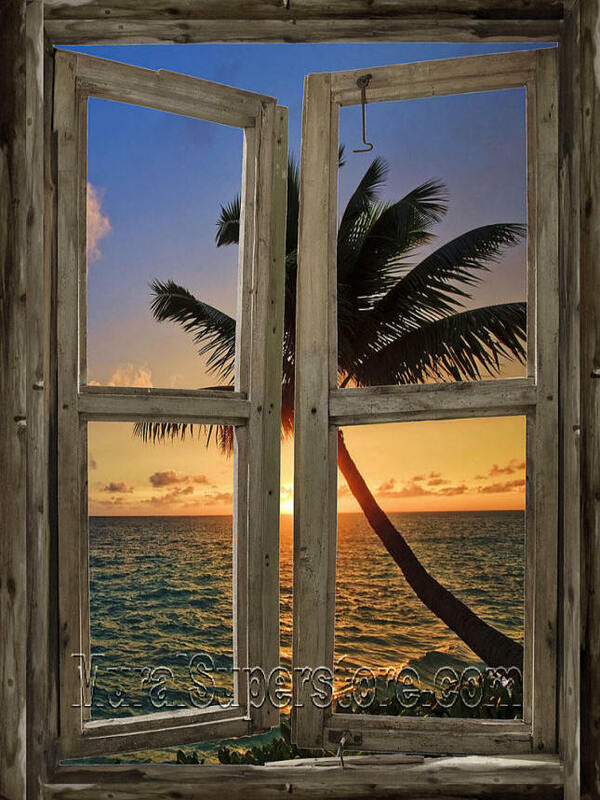 Gaze out of the window of this rustic beach cabin onto this gorgeous tropical beach sunset. Palm trees, pristine sandy beaches and deep blue ocean waters are the setting for a breathtaking ocean view. 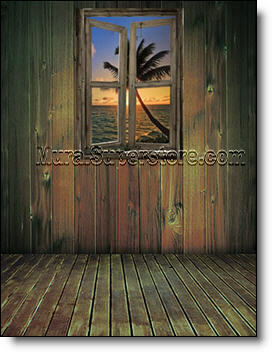 Adds a spectacular window view to any room in your home or office. This is window #6 in the Beach Cabin Window series. 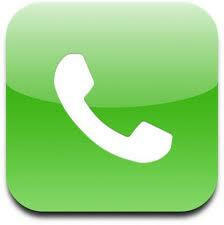 Installs instantly - without paste or tools! Simply peel off the protective backing and stick it to to any smooth, flat non-porous surface - indoors or outdoors. Apply Quick Murals to walls without the use of additional wall liners or primers! Quick Murals can even be applied directly onto glass. Digitally printed using the latest technology for remarkable detail. Need a change? Just move it to another wall because Quick Murals are repositionable!